Andrew Downie is back to discuss his new book, Doctor Socrates, in more depth. For this episode, George traveled to Iceland to speak with the technical director and president of the Icelandic FA—plus the president and first lady of the country itself. Next week, Andrew Downie will return to discuss his book Doctor Socrates. Pick up a copy here (Howler gets a small cut when you purchase with this link). And then drop any questions or comments you’d like Andrew to address into this form. Amos Barshad last came on Dummy to discuss his story about a spate of soccer murders in Argentina. Now he’s back to talk about his story in last week’s New York Times Magazine about the Players’ Tribune and where it lives in the modern sports journalism ecosystem. What Happens When Athletes Do the Sports Writing? by Amos BarshadDoctor Socrates is the latest Howler Book Club selection—pick up a copy here (Howler gets a small cut when you purchase with this link). Author Andrew Downie will stop by for a more expansive conversation about the life of Socrates. We published a big ol’ package on referees in the latest issue of Howler, and in this episode of Dummy, George speaks with one of the writers about his survey of the academic literature and what it tells us about the psychology of people who are brave enough to become referees. Dive in with us (but not too obviously) to learn more about an under-covered and vital facet of the game. Andrew Downie’s new book Doctor Socrates tells the story of one of the most interesting players in soccer history. Socrates trained as a physician but chose to become a professional footballer, and he was captain of the wonderful Brazil side that was expected to win the 1982 World Cup but fell to Italy, the eventual champion. He was a heavy drinker, smoker, and philanderer who was nonetheless beloved by fans of Botafogo and then Corinthians because of his incomparable abilities as a playmaker and finisher. He also led a movement called Corinthians Democracy that brought a social and political consciousness into the locker room, putting him at odds with the way business was done in Brazilian soccer and eventually with the dictatorship that ran the country. Doctor Socrates is the latest Howler Book Club selection—pick up a copy here (Howler gets a small cut when you purchase with this link). Andrew will be back in about a month for a more expansive conversation about the life of Socrates. George and Ryan (host of the Dirty Tackle podcast and an occasional writer for the mag) are in London at a big Nike marketing event, and of the many players present—including Alexis Sanchez, Neymar, Christian Pulisic, and Marcus Rashford—they got two very short interviews with Eden Hazard and Tobin Heath. In this episode, a discussion about how commercial events like this one have come to drive so much of the soccer media, a quick look at the very funny piece Ryan wrote for the latest issue of Howler, and, of course, three minutes each with Hazard and Heath. This week, George chats with Robert Andrew Powell, who has been writing about Beckham and Miami for Howler for several years. (Read his profile of Beckham’s business partner, the Bolivian billionaire Marcelo Claure, here.) They discuss the announcement, on Monday, that MLS had accepted the Beckham group’s bid to join the league—outside of the ongoing expansion process. The announcement closely mirrored a similar press conference four years ago: no team name, colors, or locked-down stadium location. What’s new? The addition to the ownership group of the Mas brothers, sons of an iconic Cuban exile who left behind a controversial legacy as one of Miami’s most prominent anti-Castro figures. Read Robert’s latest update for Howler here. On Thursday, we hosted a live show with the gentlemen from the Total Soccer Show. Tab Ramos and Alexi Lalas were our special guests, and Brooks Peck of Dirty Tackle made a cameo at the end during the Wikipedia Game. As president of Soccer United Marketing, Kathy Carter has helped US Soccer earn megaprofits in recent years. Now she is running to be president of the federation. Among the topics she discusses in this episode: potential conflicts of interest (MLS owners also own SUM), how she plans to manage the technical staff, solidarity payments and pro/rel, and why she thinks there are suddenly eight candidates when Gulati ran unopposed in the last three elections. As chief scout for the USMNT under Bruce Arena, Thomas Rongen was responsible for keeping tabs on potential US internationals, including 18-year-old midfielder Jonathan Gonzalez, who chose this week to represent Mexico instead of the US. 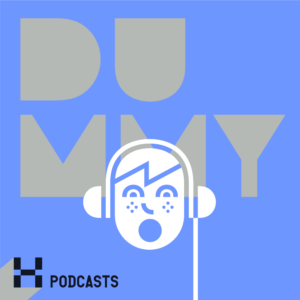 In this episode of Dummy, Thomas talks about the process for making contact and building relationships with players who have the option to represent multiple countries, which is something he did during the past year but also as head coach of the US U-20 team from 2006 to 2011. He has helped find and recruit players like John Brooks, Bobby Wood, Julian Green, Mix Diskerud, Terrence Boyd, Jerome Kiesewetter, and others—and his thoughts on why Bobby Wood is still a big part of the national team while Julian Green’s career has stalled are especially interesting. My scheduled interview fell through, so when my dad stopped by, I made him sit down and answer my questions about how American soccer has changed since he arrived from England in the early 1970s to play college soccer and then in the old NASL. It was a nice reminder that even though we might think we’re in a moment of crisis, things actually seem quite stable and positive to someone who was around back then. Jason Davis spends 10 hours a week talking in public about American soccer on his Sirius radio show. Now that the field has been narrowed to eight candidates, he and George discuss what could happen, what’s likely to happen, and what they hope will happen. They also discuss what a Wynalda or Carter presidency would mean for Major League Soccer and more broadly for the future of the game in the US. Earlier this month, the International Olympic Committee decided to ban Russian athletes from participating under their national flag at the 2018 Olympic Games and it banned for life Vitaly Mutko, the Russian deputy prime minister who oversaw the country’s massive, state-run Olympic doping program during the 2014 games in Sochi. Mutko also happens to be the head of Russia’s World Cup organizing committee and a FIFA vice president who sits on the FIFA Council and four other FIFA committees, but there is little chance he will lose any of those positions as a result of this scandal. Here to explain why, and give us more insight into the relationship between Russian sports, politics, and international institutions like FIFA and the IOC, is Manuel Veth, editor-in-chief of futbolgrad.com, who just so happens to have a PhD in the study of Soviet sports. Last week, George went down to the Nike Friendlies outside of Bradenton to watch the U-17 U.S. boys lose to the Netherlands by a score of five to one. More successful was the trio of interviews he conducted with people who run various aspects of the USSF’s scouting and development operation. If you want to better understand the current landscape of how our country goes about turning 12 year-old-boys into players for the senior national team, today’s episode is a great place to start. Guests are Aloys Wijnker (director of boys development academy), Tony Lepore (director of talent identification), and Nico Romeijn (director of coaching education). Last week, an uproar by gamers over the new Star Wars video game may have reduced EA Sports’s stock value by $3 billion. The crux of the issue was that in order to unlock certain aspects of the game—characters like Darth Vader, for instance—players would have to spend weeks playing the game or pay thousands of dollars in microtransactions. But microtransactions, also known as “loot boxes,” have been a feature of EA’s FIFA franchise for years, and is credited with boosting the company’s profits by hundreds of millions of dollars. George discusses all of this with Jamin Warren, founder of the excellent video game arts and culture company Kill Screen. Ken Bensinger of Buzzfeed spent last week in a Brooklyn courtroom observing an absolutely BANANAS case against three senior South American soccer executives who are at the center of the huge FIFA trial. There were tears on the stand. Not one but two death threats IN THE COURTROOM. A suicide in Argentina hours after a huge revelation. And a murder that may be linked to testimony. George and Ken also discuss the possibility that Nike and Fox Sports could become involved as the trial continues. The US men’s national team drew 1–1 with Portugal on Tuesday in the first of many meaningless friendlies in the team’s near future. George and Travis Clark of Top Drawer Soccer discuss some of the young players who are getting their first chances with the national team, including McKennie, Tyler Adams, Cameron Carter-Vickers, Ethan Horvath, Josh Sargent, and (maybe) Jonathan Gonzalez. UCLA law professor Steven Bank is back to discuss today’s hearing in a Brooklyn courtroom as the NASL seeks an injunction against the U.S. Soccer Federation’s decision to re-classify the league as division three. We learned some new things, including details about Soccer United Marketing’s relationship with both MLS and the USSF as well as where the judge might be leaning in this case. Qatar recently announced that it will begin to reform the Kafala labor system that keeps migrant workers essentially powerless in the face of abuse. James Dorsey joins the pod to discuss what this means, why it came about, and the role of geopolitics and the World Cup in sparking this change. Today, two very emotional interviews about the prospect (possibility? probability?) that Anthony Precourt, owner of the Columbus Crew since 2013, will move the team to Austin, Texas. First, George speaks with lifelong Crew supporter Morgan Hughes. Then he discusses the possible relocation with Josh Jackson, a member of MLS to Austin. Howler editor George Quraishi is joined by Bobby Warshaw and Cole Grossman (former player for Real Salt Lake and Stabaek) to work through the USMNT’s loss to Trinidad and failure to make the World Cup. They discuss the short- and long-term failings of the US Soccer Federation and how they could be fixed. There is some foul language in this episode. Clarence Goodson was a center back for the U.S. men’s national team during two World Cup qualifying cycles. He joins to discuss his compatriots trying to make it to Russia, his career, his work with the MLS players union and why he built a 5-aside soccer court at his old elementary school. The U.S. Soccer Federation recently demoted the North American Soccer League from division two to division three status, and now the NASL is suing the USSF not only over this designation but over the governing body’s right to designate pro leagues at all. UCLA law professor Steven Bank joins to discuss the suit. How did a Columbia econ professor become the most powerful American in world soccer? Noah Davis discusses his profile of Sunil Gulati from the new issue of Howler. Then, La Familia is possibly the most hateful and violent ultras group in the world. They have been known to attack fans and even members of their own club, Beitar Jerusalem, and they are proud to call their team Israel’s “most racist.” And in July of last year, 64 members were arrested in a massive sting operation by Israeli police. Sam Patters joins to discuss his feature on La Familia. When Martin Jacobson became the coach of soccer team at Martin Luther King Jr. High in Manhattan just over 20 years ago, the program was a disaster. So how has he won 15 city-wide championships in that time? Actually, that’s the least interesting question you can put to the recovered heroin addict, Hepatitis C survivor, and man who has taken in transformed the lives of hundreds of kids from the U.S., Africa, the Caribbean, and South America. It’s really a remarkable story—and it’s subject of a new documentary film that will be premiering at a festival in New York. More information. First up, Mapate Diop discusses his article on Red Bull, PSG, MLS and the phenomenon of soccer as branded content, a simultaneously simple and profound way of viewing modern soccer. Then, Michael Krumholtz on Costa Rica and Vancouver Whitecaps winger Christian Bolaños, who at 33 has enjoyed a late-career resurgence. Costa Rica plays the US tonight in an important World Cup qualifier. On Tuesday, Top Drawer Soccer staff writer and Howler contributor announced that he’s leaving the industry altogether. So George called him up to talk about why he got into sportswriting, the forces that are shaping the industry, and why the lack of investment by major outlets is bad for all soccer fans. George thought that Kevin McCauley’s season preview for SB Nation, titled “How to Enjoy the Premier League without Worrying About the Money,” was the most provocative and enjoyable piece he’s read ahead of the new English season. So he called him up to discuss the ideas in his argument and maybe even become a convert to Kevin’s way of thinking. George Best was one of the game’s greatest players and also one of its most confounding. He had dribbling skills to rival Leo Messi, a public image that paved the for David Beckham, and an addiction to alcohol that was allowed to go unchecked in the 1960s and ’70s and ultimately led to his early death. This week, George interviews Daniel Gordon, the director of a 30 for 30 documentary that premieres tonight on ESPN at 8:30 pm. Gordon also made the 30 for 30 about the Hillsborough disaster and “The Game of Their Lives,” about the North Korean soccer team at the 1966 World Cup. George and David discuss the Garcia Report. Even though it contained no revelations that will stop the World Cup from taking place in Russia and Qatar, it still revealed plenty of bad behavior by soccer officials, and it provides quite a few clues about FIFA’s immediate future. This week, we released a short parody called “The Soccer Ball Phone” starring Sarah Silverman, Jack Black, Will Arnett, Alexi Lalas, and a few other very funny people. (We’re been promoting it pretty hard, but if you haven’t seen it, or want to ready George’s note about how it came together, go here.) This week on Dummy, George talks to Kovert Creative partner Joe Assad, who wrote and directed the short and also happens to be a new partner in Howler. We often get requests to talk about the behind-the-scenes stuff that goes into running the mag, so if you’re interested about Howler as a business and where it’s headed, this episode is for you. Which players are emerging as Bruce Arena’s automatic picks? Who should be playing between Altidore, Dempsey, and Wood? Michael Bradley or Kellyn Acosta? How will Mexico attack the U.S. back line of Yedlin, Cameron, Brooks, and Villafaña? Why is Villafaña only getting his first caps now, at the age of 27? Bobby was running out to catch a plane to Mexico City, so they taped a short segment near the end in which they analyze the build-up to the first U.S. goal. This is for Bobby’s podcast “The Play” but you’ll probably enjoy it too.